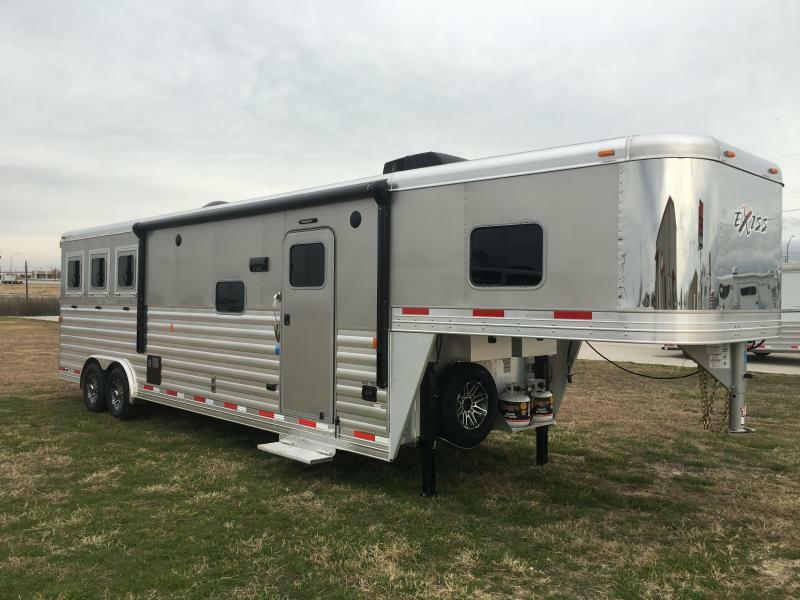 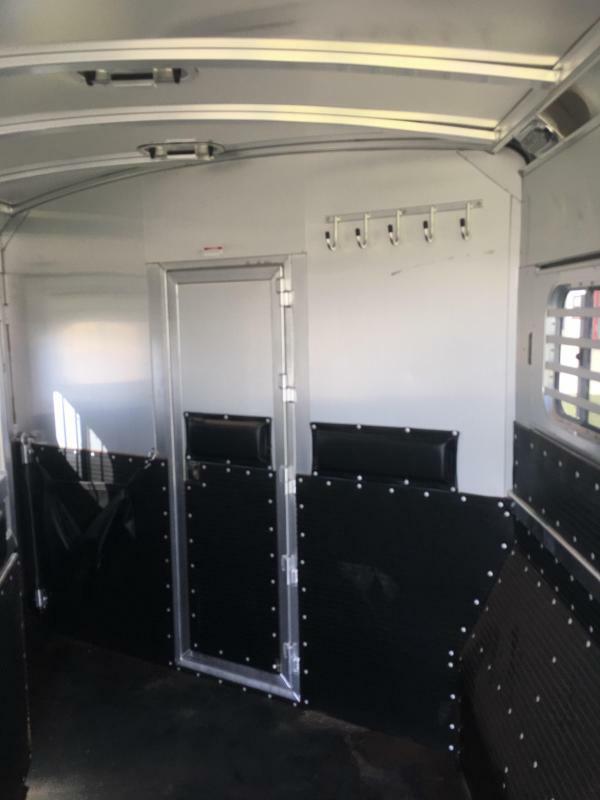 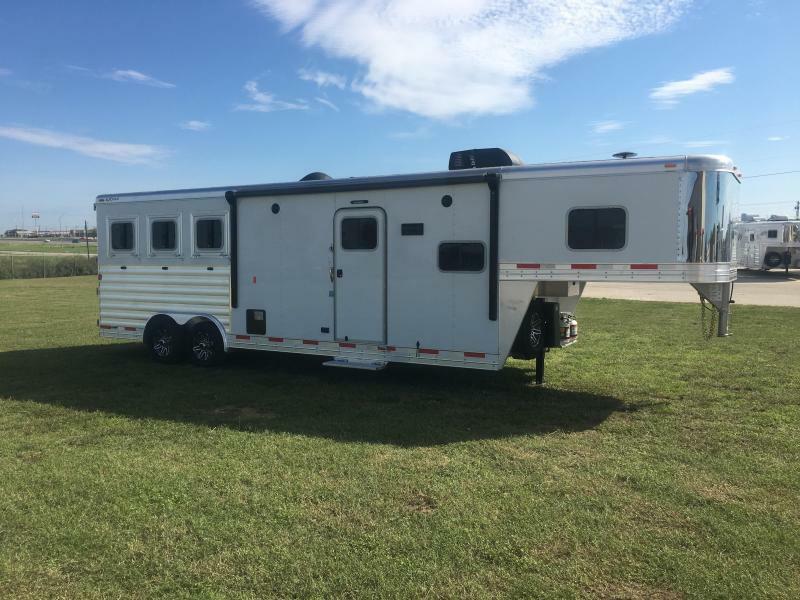 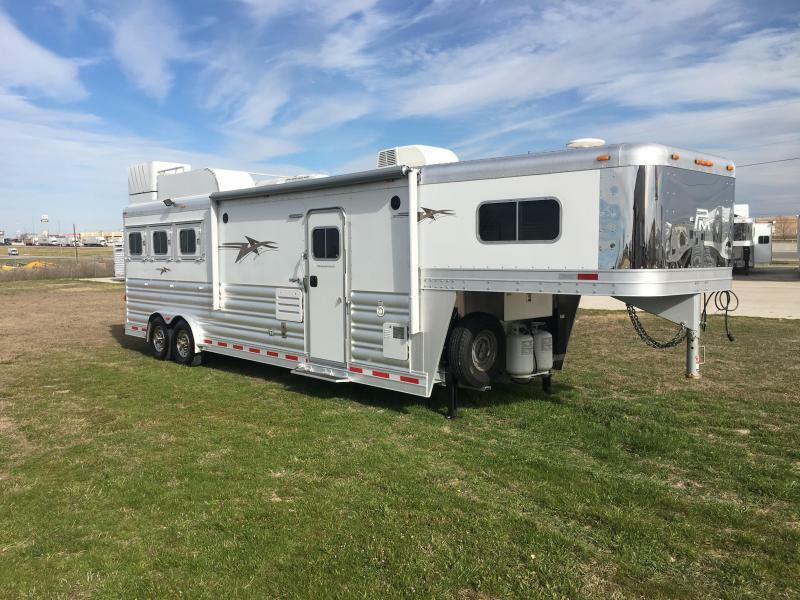 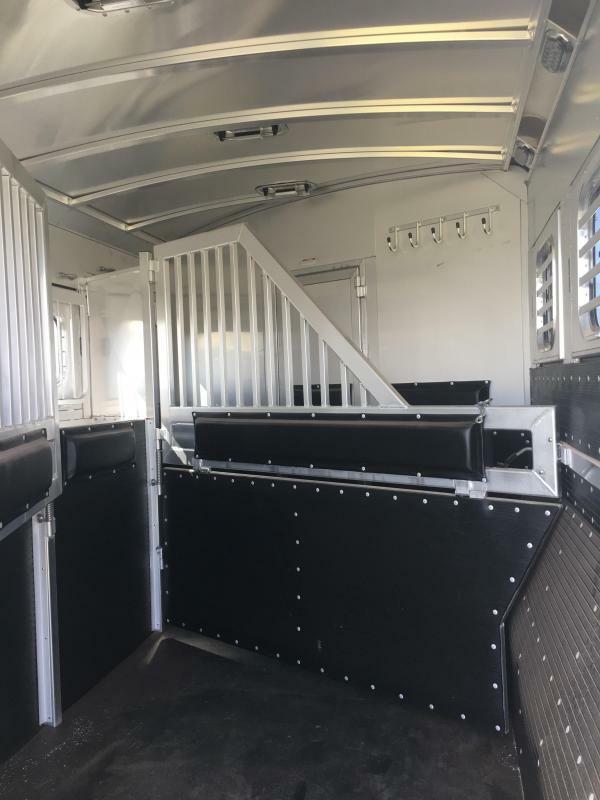 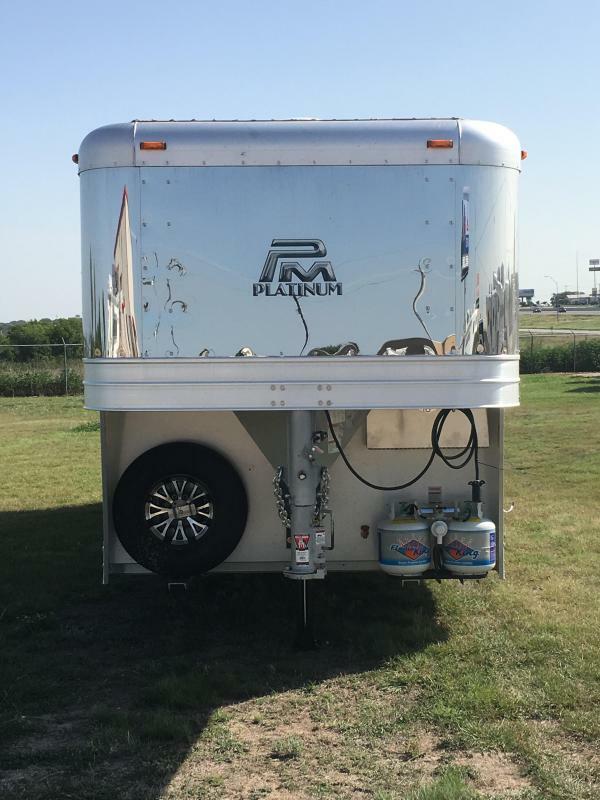 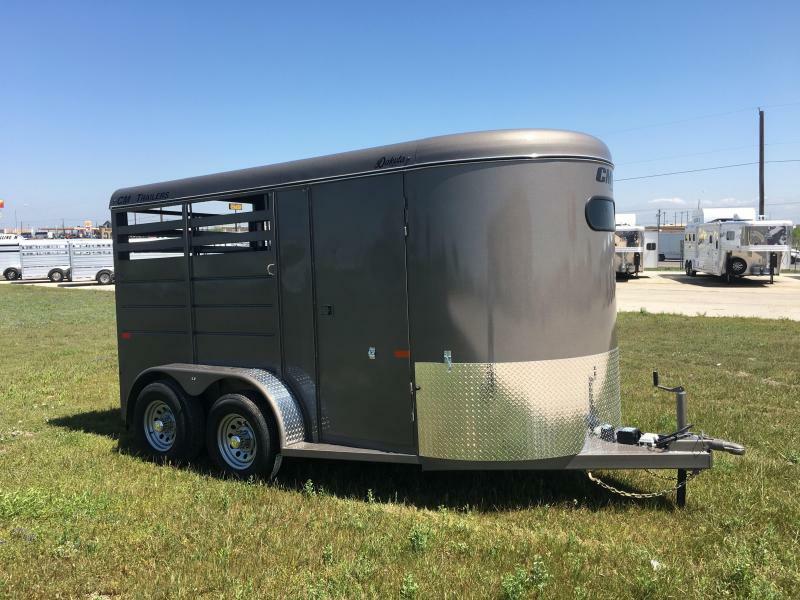 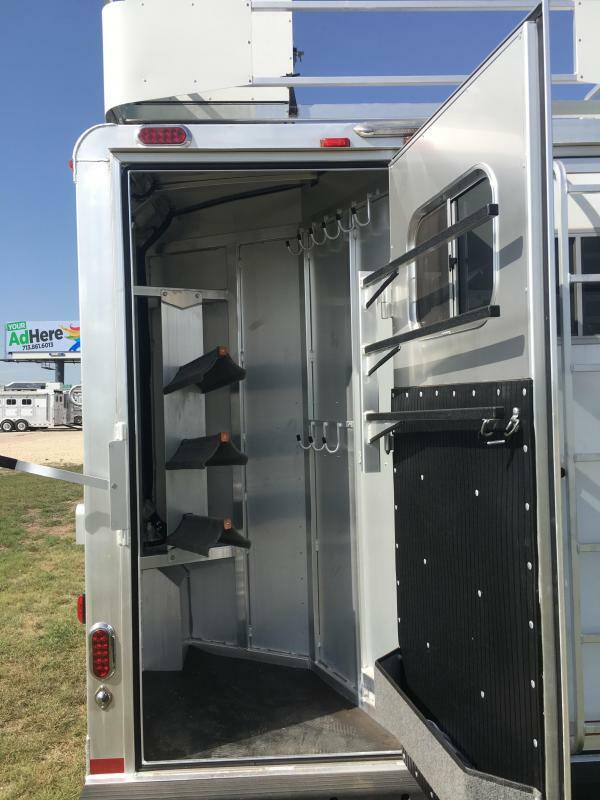 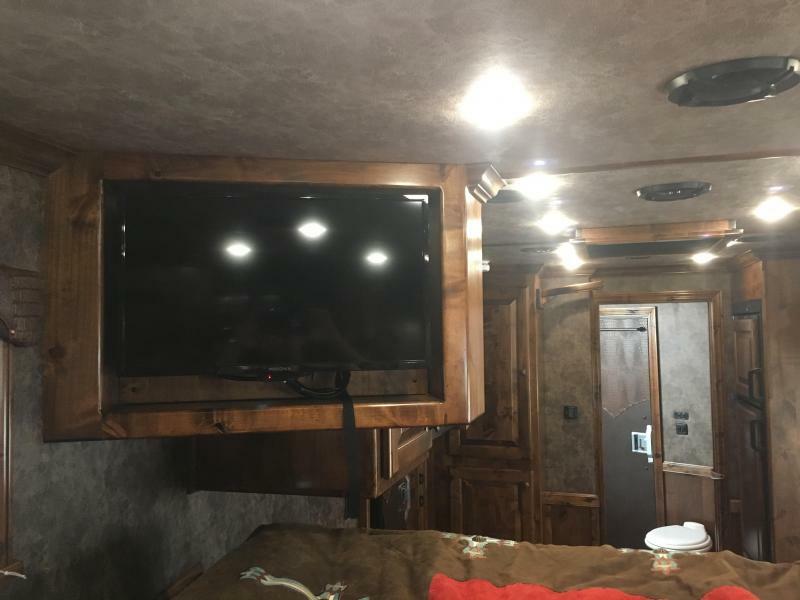 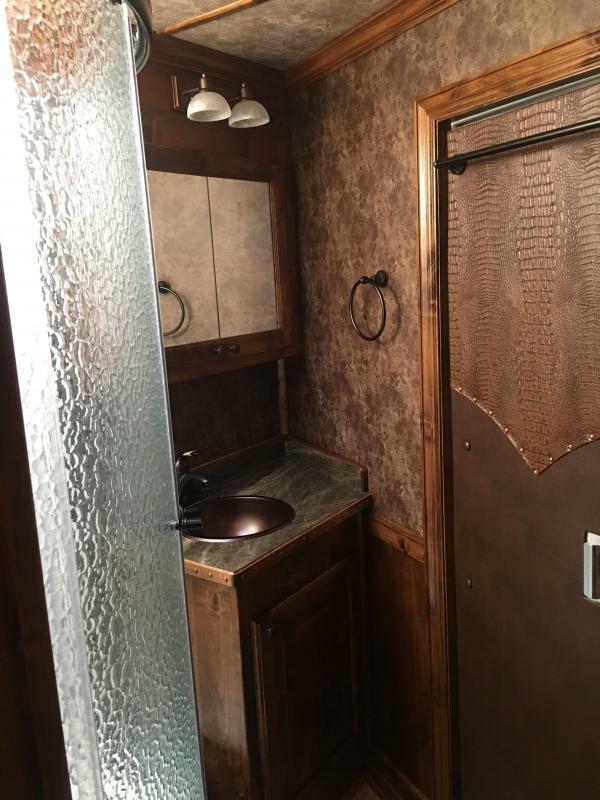 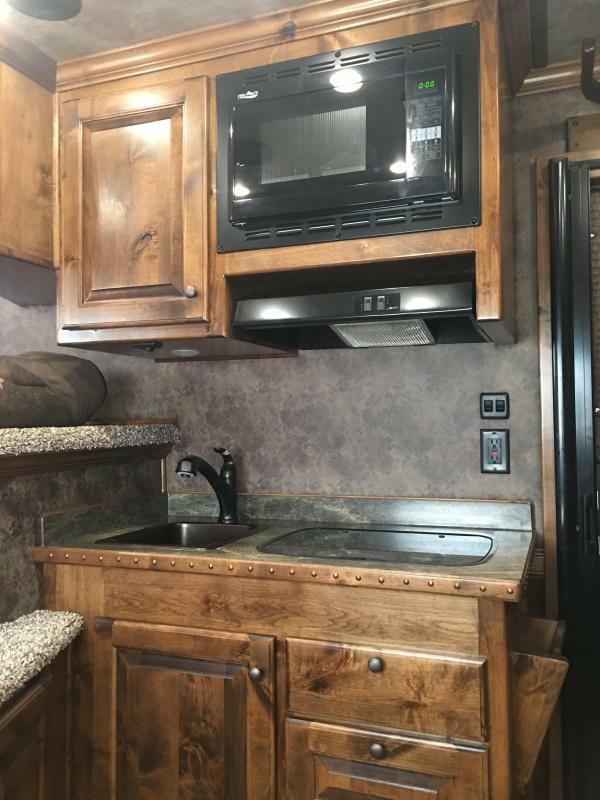 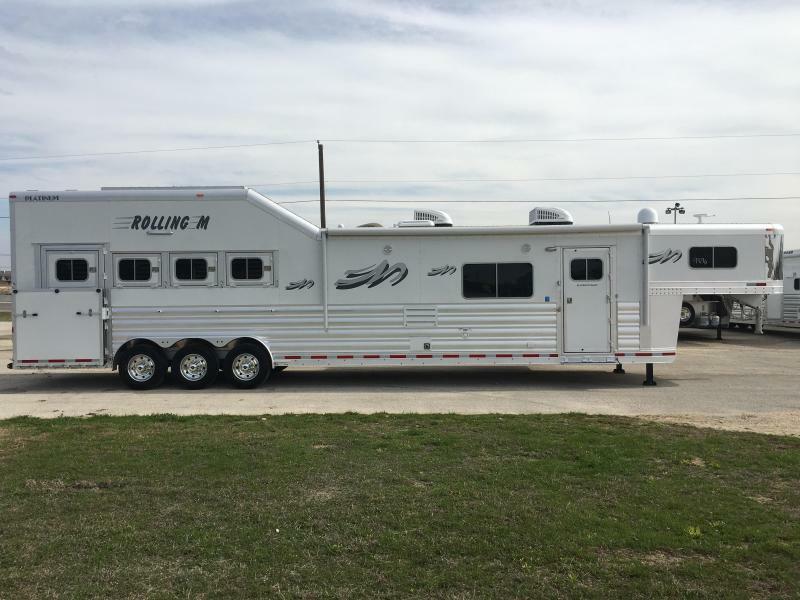 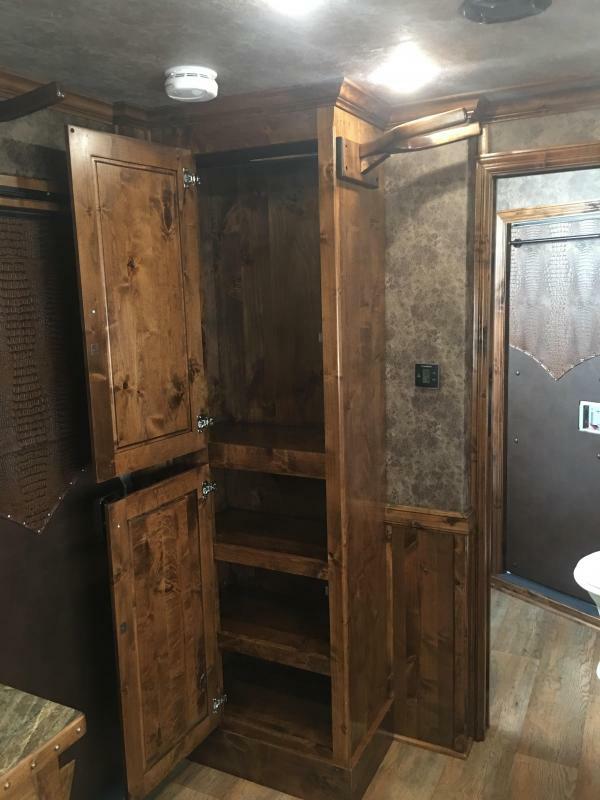 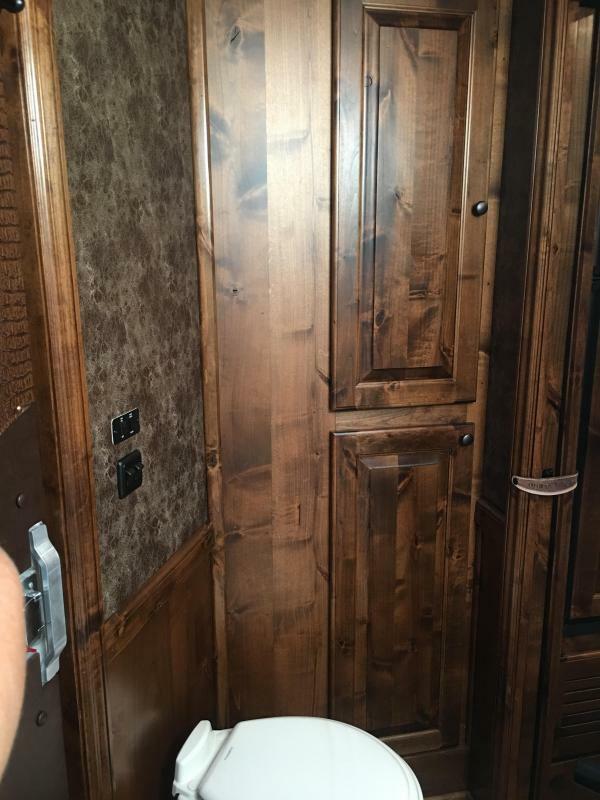 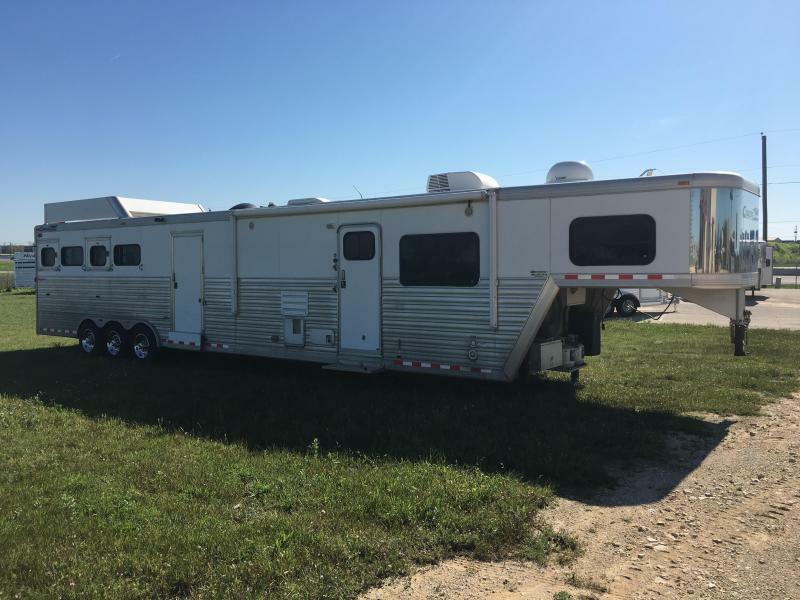 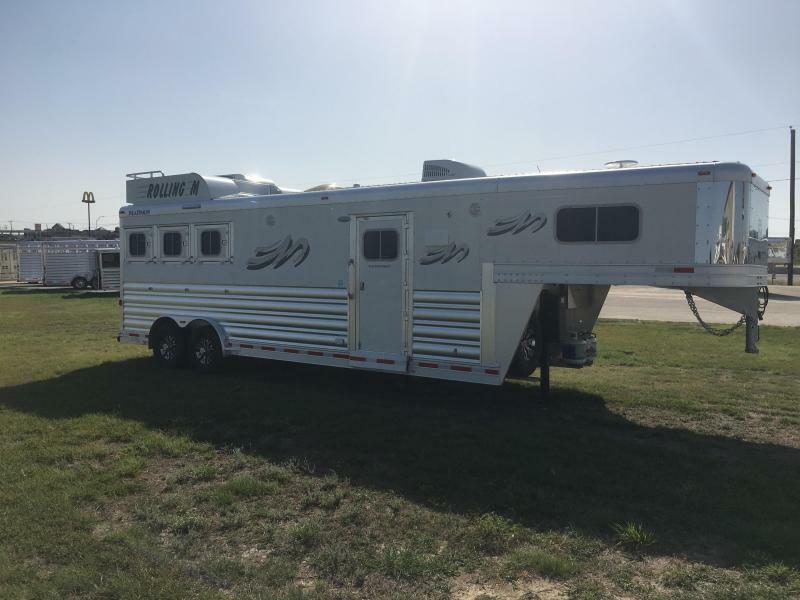 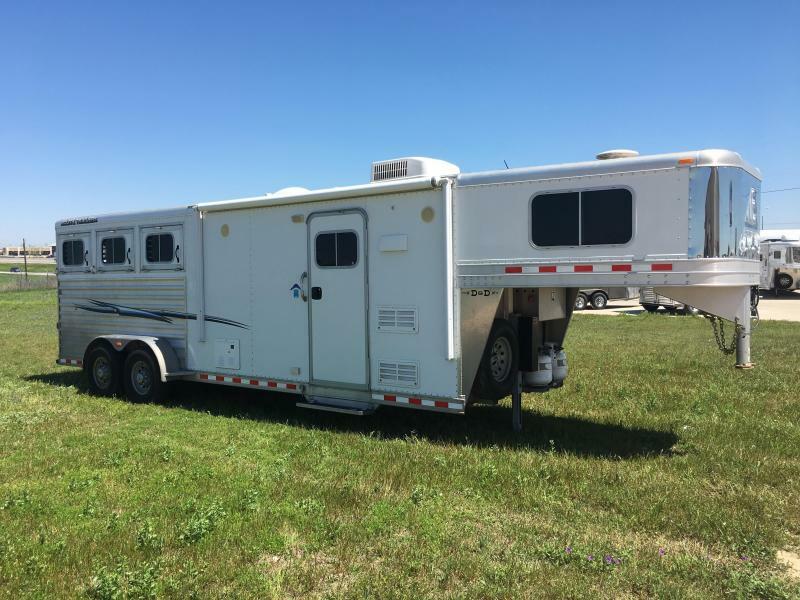 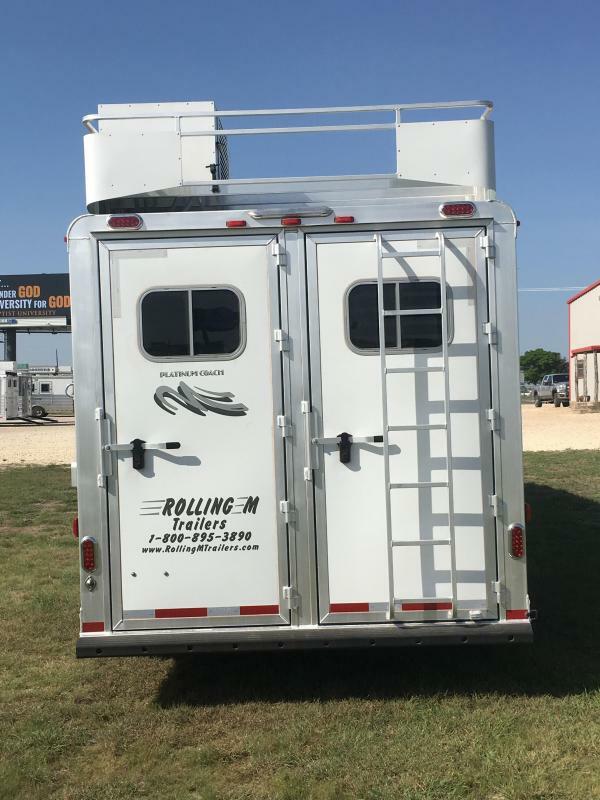 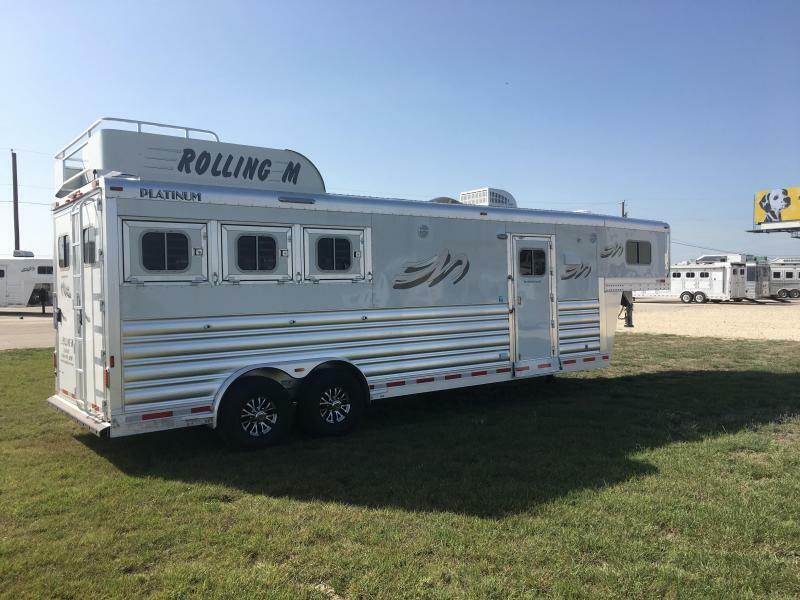 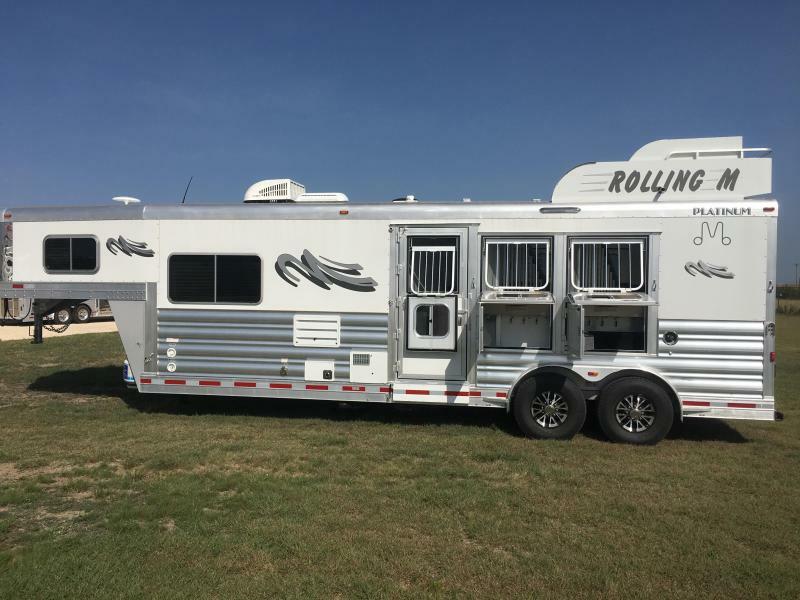 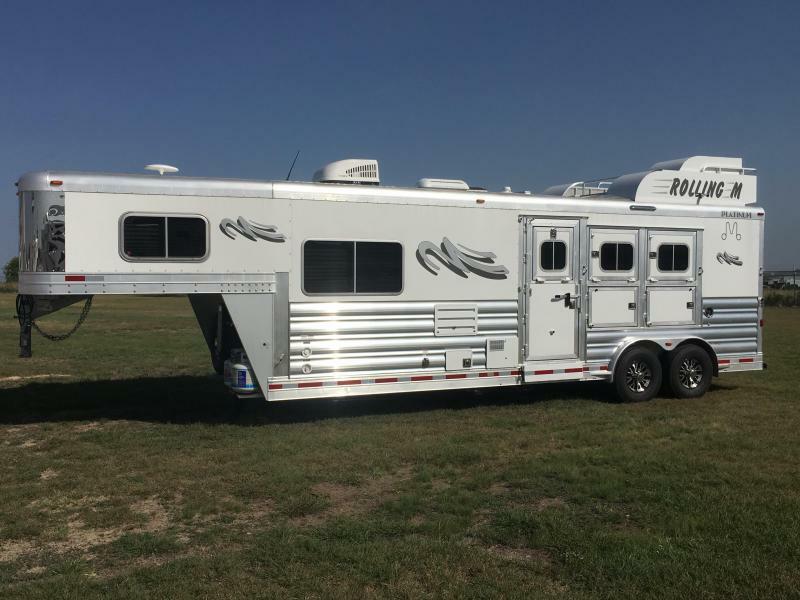 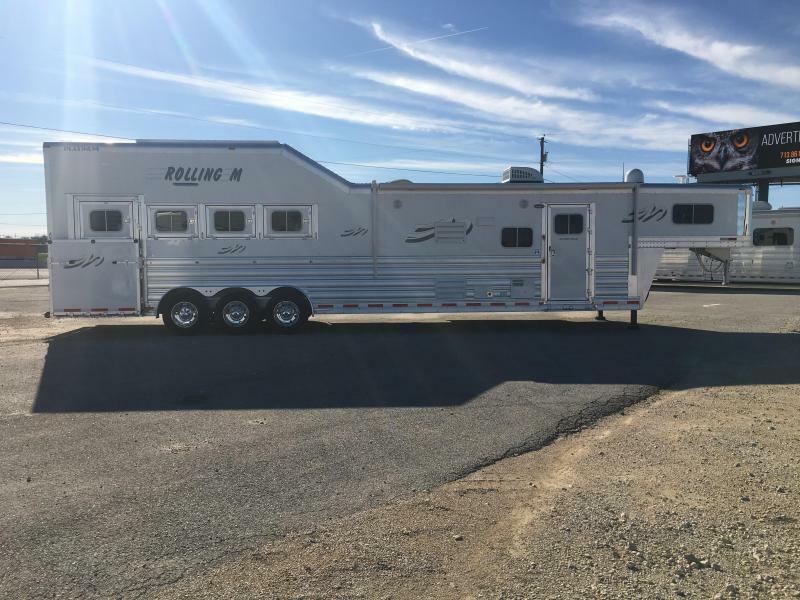 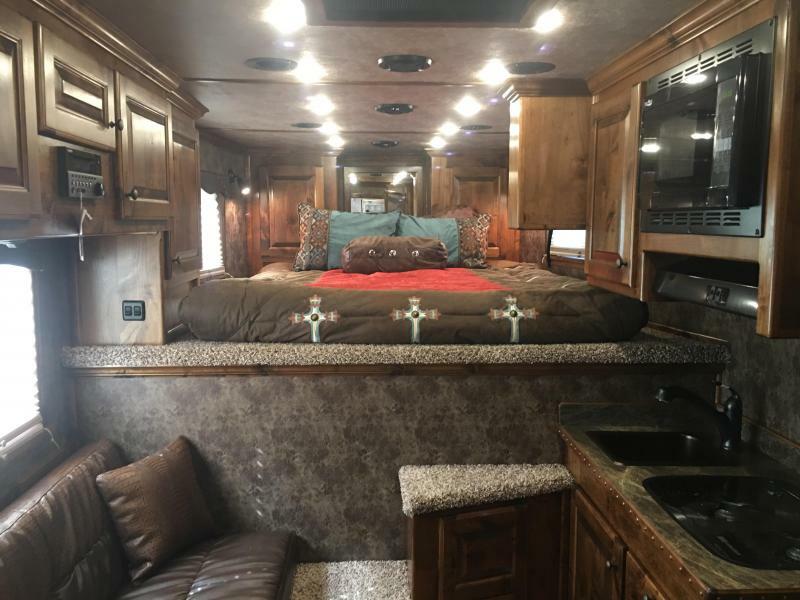 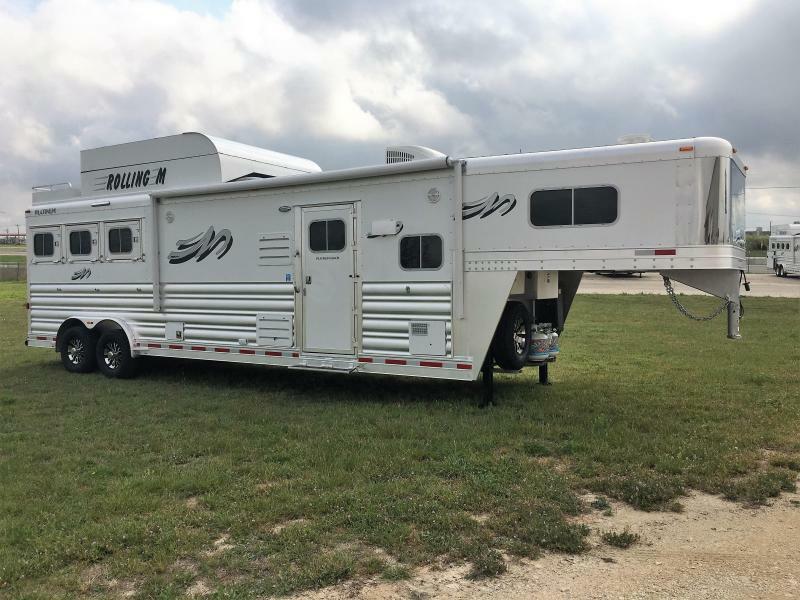 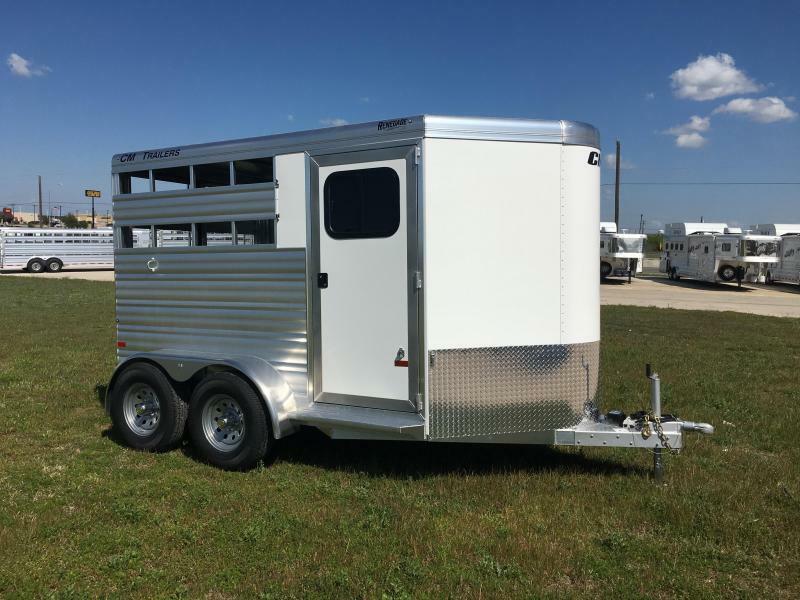 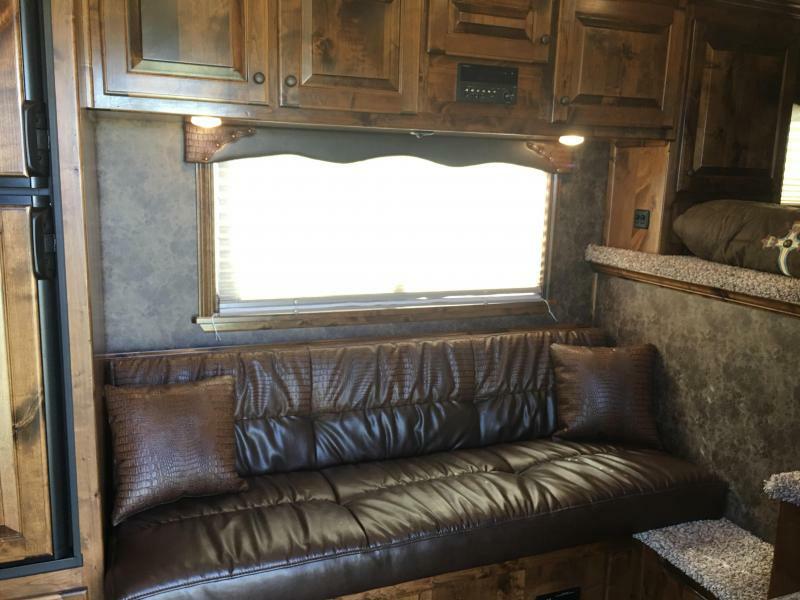 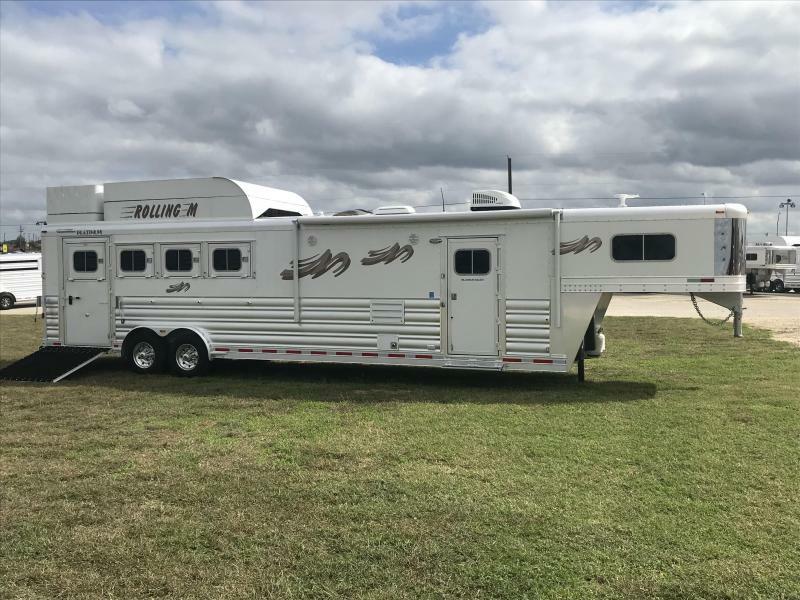 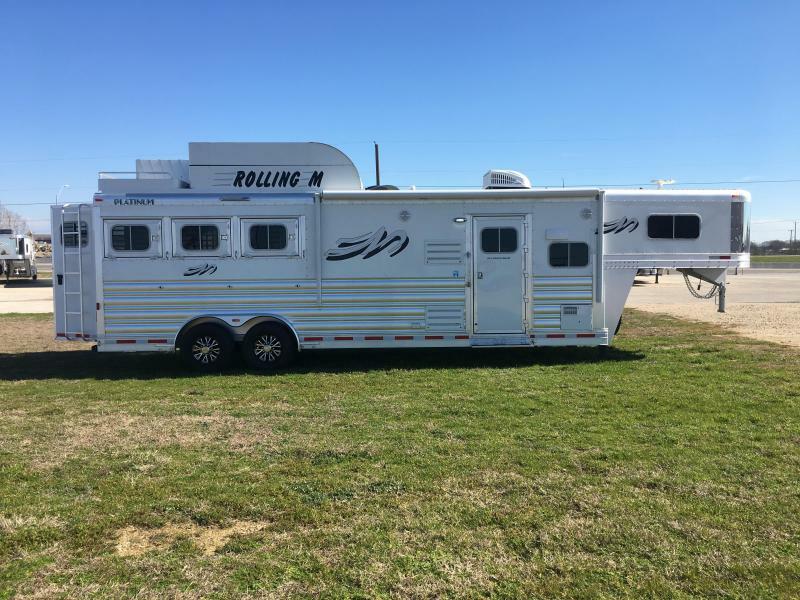 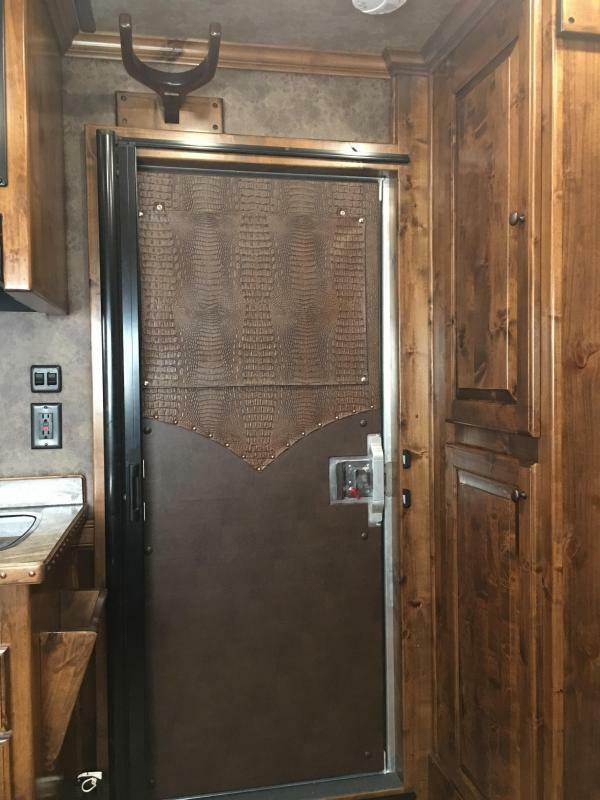 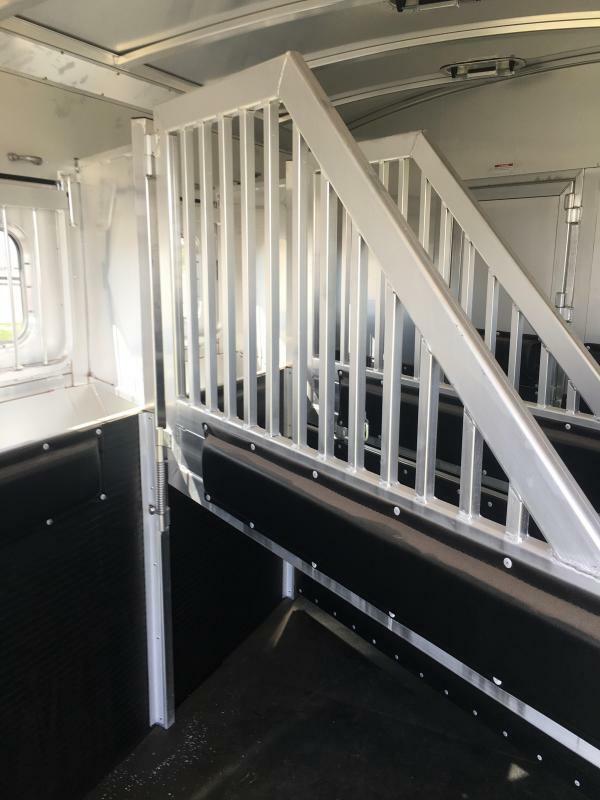 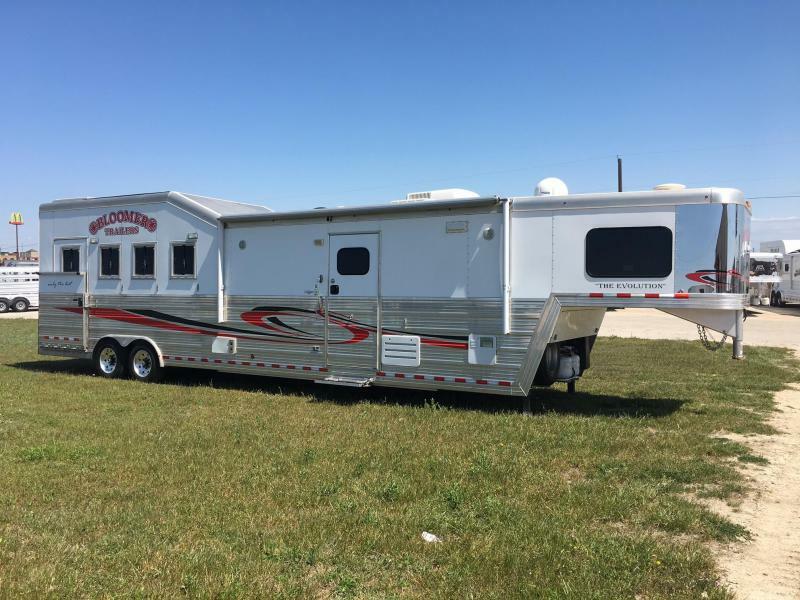 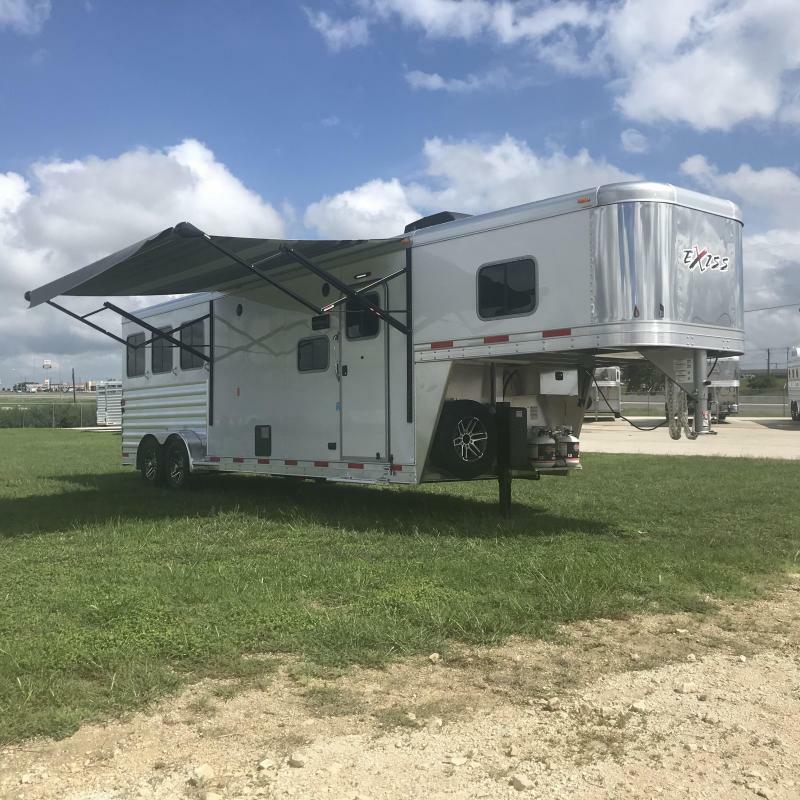 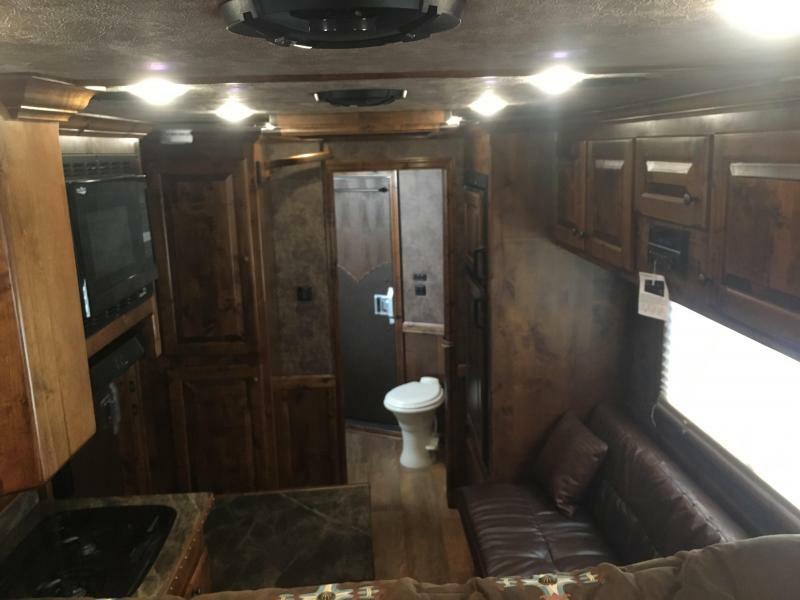 2018 Platinum 3 Horse 10' LQ, Generator, Hydraulic Jack, walk through door to horse area, sealed rear tack, drop windows on head and tail, flow through dividers, stud divider rubber lined, rubber on walls, swing out blanket bars, LED load lights and dome lights, hay rack, mangers with access doors on every stall, stainless steel nose, escape door, AC with heat strip, powder coated faux copper sinks, 6 cu.ft. 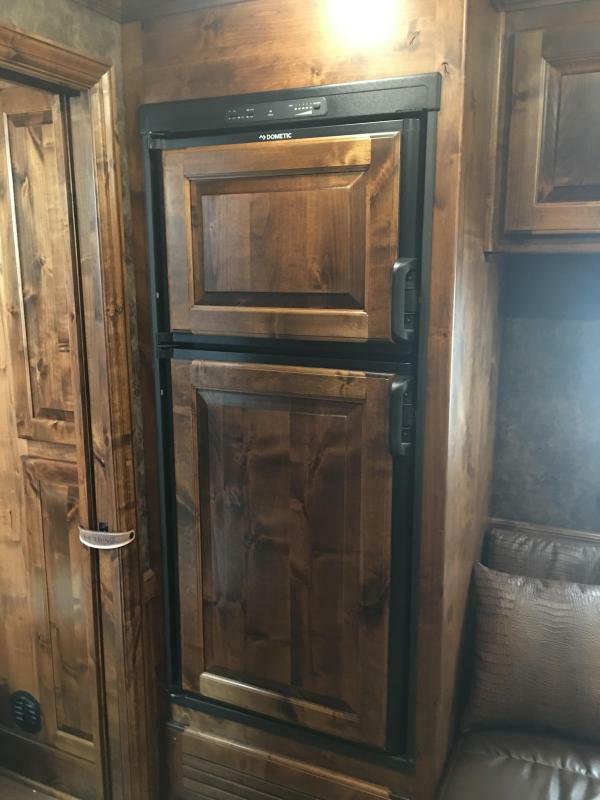 refrigerator, 2 burner cook top, convection microwave, sky dome above shower, wood hat racks, day/night shades, AM/FM/CD/DVD stereo, 24" LED TV, satellite pre-wire and more. 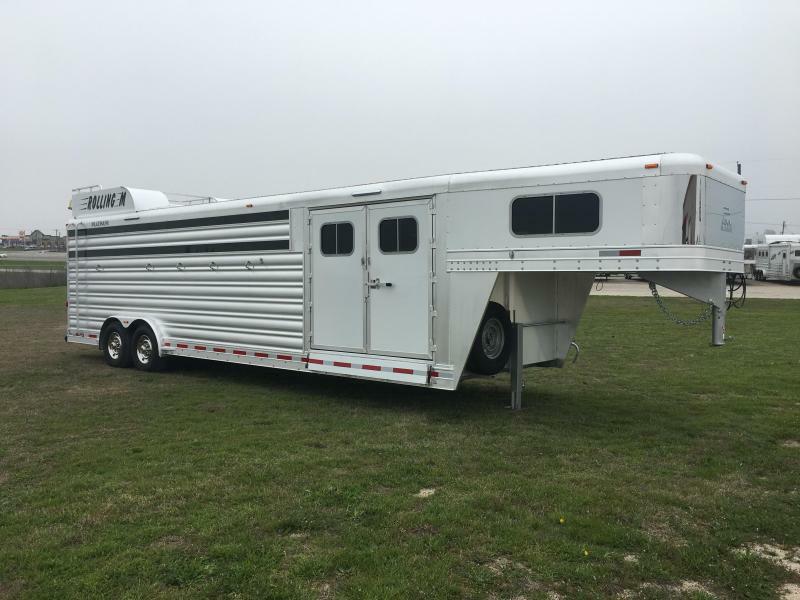 Please call 512-746-2515.